Values help influence behavior and action and can be considered somewhat of a hidden motivation because they are not readily observable. 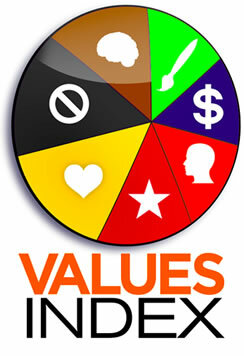 Understanding your values help to tell you why you prefer to do what you do. It’s vital for superior performance to ensure that your motivations are satisfied by what you do. This drives your passion, reduces fatigue, inspires you and increases drive. Altruistic – a drive for humanitarian efforts or to help others altruistically. Learn how you can leverage the power of the Values Index report today. Contact us for more information.